Athletes who participate in high demand sports like dance, soccer, football, and basketball are more likely to injure their anterior cruciate ligaments. 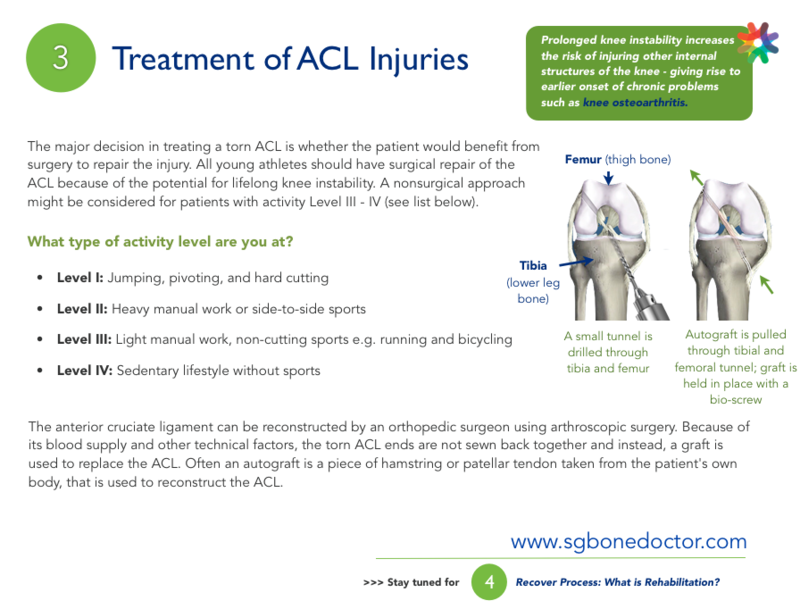 Each ACL injury is different and can range from a stretched ligament to a partial tear to a complete rupture. Equally so, each type of treatment is different, from structured recovery and rehabilitation to reconstruction surgery followed by rehabilitation. 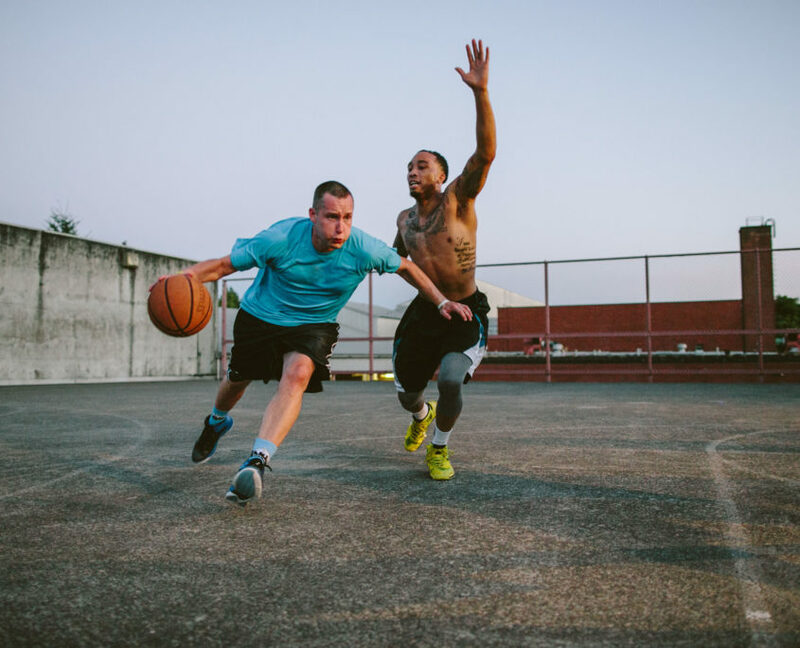 In situations where a patient is active, such as a high school or college athlete, and would like to return to that active lifestyle after treatment, surgery to repair a partial or complete tear is likely the best option as this surgery has a long-term success rate of 82 to 95 percent. 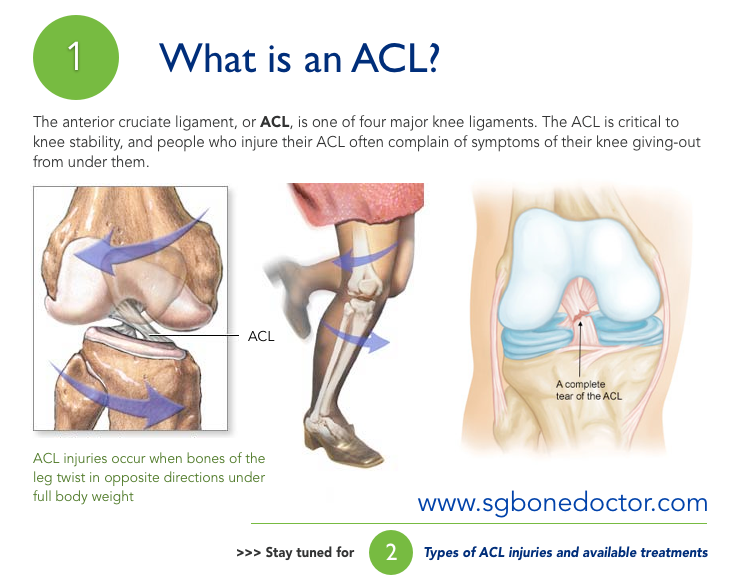 As mentioned above, the anterior cruciate ligament (ACL) is one of the two major ligaments in the knee. It connects the thighbone to the shinbone in the knee. 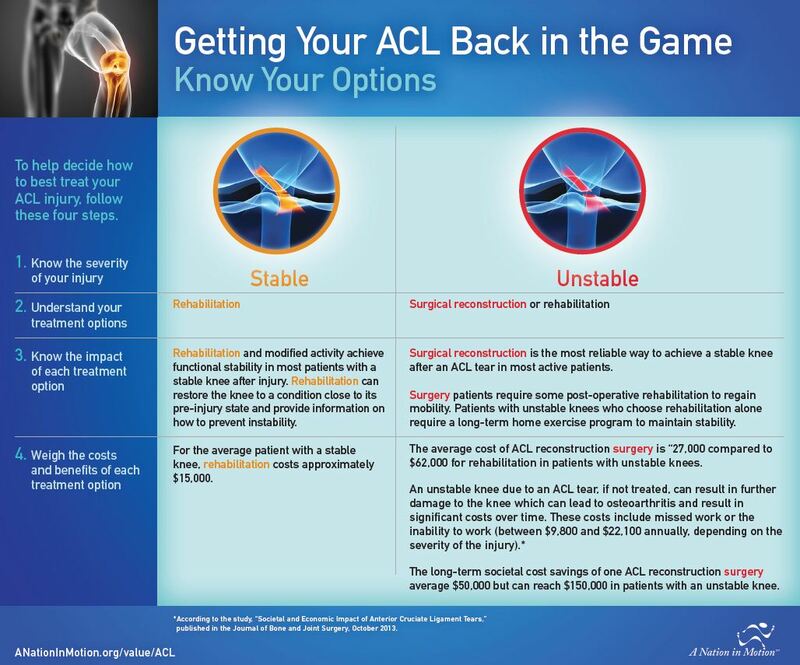 ACL injuries are a common cause of disability to the knee. The posterior cruciate ligament (PCL) is the second major ligament in the knee connecting the thighbone to the shinbone in the knee. 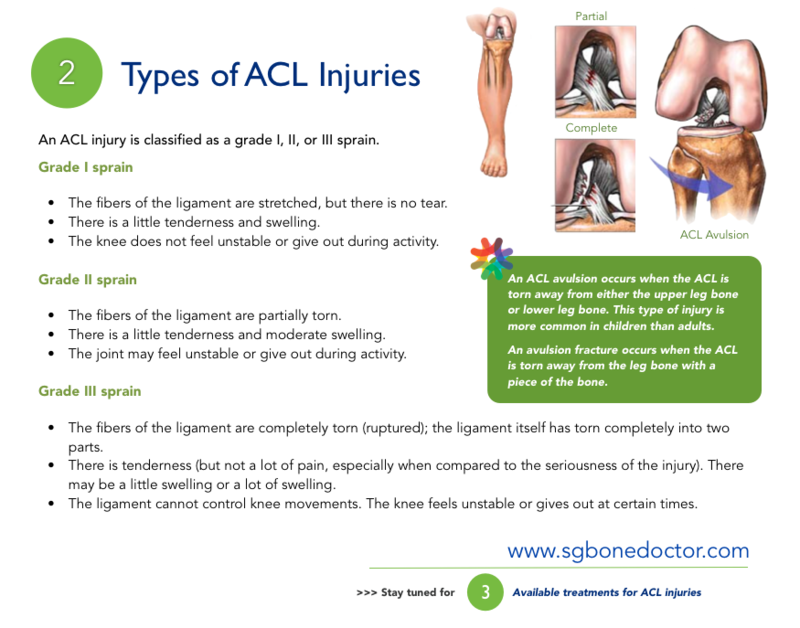 The lateral collateral ligament (LCL) connects the thighbone to the fibula, the smaller bone of the lower leg, which is found on the lateral or outer side of the knee. The medial collateral ligament (MCL) also connects the thighbone to the shinbone on the medial or inner side of the knee. If you decide to have knee arthroscopy, you will need a complete physical examination with our doctor to assess your health and identify any problems that could interfere with your surgery. Before surgery, tell your orthopaedic surgeon about any medications or supplements that you take. He or she will tell you which medicines you must stop taking before surgery (e.g. blood thinners). You may be required to undergo pre-operative tests such as complete blood counts or an ECG (electrocardiogram). Almost all arthroscopic knee surgery is done on an day surgery basis. The surgeon will insert the arthroscope and use the image projected on the screen to guide it. Your surgeon will insert small instruments through another small incision to harvest the autograft (usually the hamstring) and reconstruct your anterior cruciate ligament (ACL). This part of the procedure usually lasts 40 minutes to over an hour. How long it takes depends upon the findings and the treatment necessary. Your surgeon will see you in the outpatient clinic a few days after surgery to check your progress, review the surgical findings, and begin your postoperative treatment program. If you have surgery, physical therapy first focuses on returning motion to the joint and surrounding muscles. This is followed by a strengthening program designed to protect the new ligament. This strengthening gradually increases the stress across the ligament. The final phase of rehabilitation is aimed at a functional return tailored for sports.